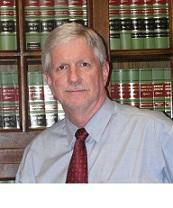 At Farese, Farese & Farese, P.A., in Ashland, Mississippi, we believe in the principles of justice. Our clients include well-known athletes and celebrities, but they also include ordinary people in extraordinary situations — people who really need a good lawyer to overcome the challenges they face. Aggressive! Experienced! Results! Those are words that describe Hayes Law Firm, PLLC. We vigorously defend people charged with crimes. We use our legal knowledge and years of experience to protect our clients' rights. And we are always focused on achieving their goals. When you choose our law firm, you can be assured that we will use every means in our power to win your case.